Turi Heisselberg Pedersen (Personal show 2018). Rachel Wood is born in England in 1962 and graduated from Loughborough College of Art & Design 1999 with a B.A.Hons in ceramics. 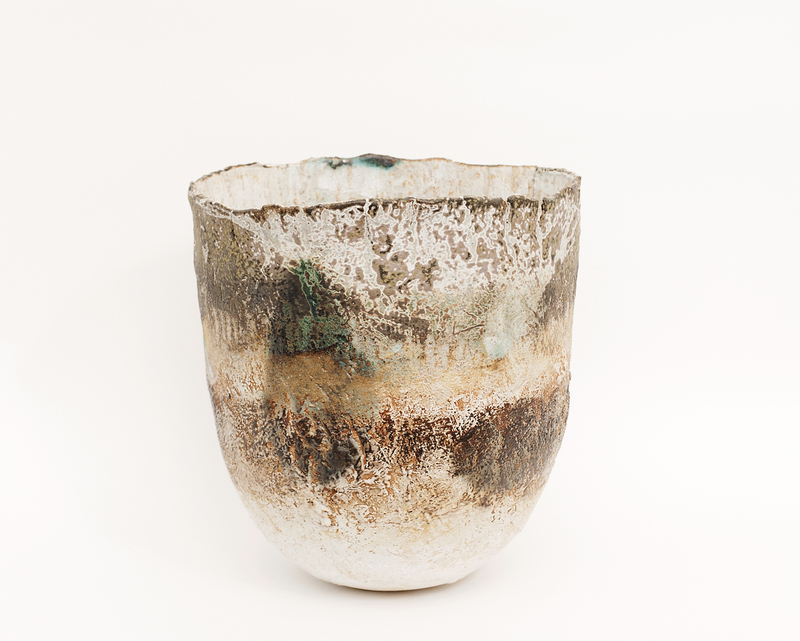 “I make a range of stoneware vessels with heavily textured surfaces, swathed with layers of slip and glaze to create depth and mystery to the work. The marks from fingers, tools, and each making process have always been an intrinsic part of each pot's character. I want each pot to convey its own spirit and character... to have a pulse and a heartbeat. I want the marks to reflect the journey of exploration and learning in each pot, just like a wrinkle or dimple depicts expression and character in a human face. The impulsive desire we all have to want to touch, and the inherent emotional need to be touched, underpins the technical, creative and emotional foundations of my work. My personal intuitive touch is an integral part of these pots — a dent in the soft clay, a tear, rip, and a finger or handprint in the glaze. I also love to explore the rhythm and movement of throwing clay on a wheel, excited by the freshness and spontaneity of the results. I use a combination of throwing and hand building techniques, which create highly textured, tactile and energetic surfaces. 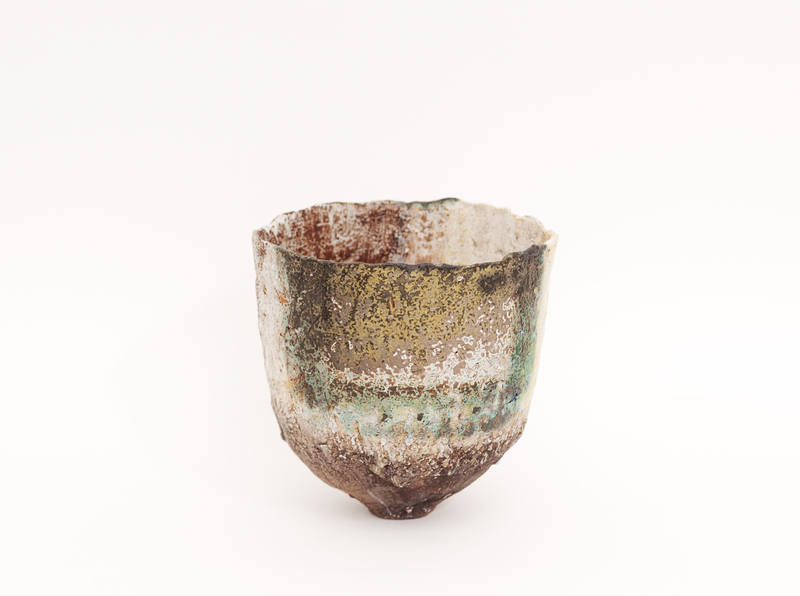 The conical bowls are inspired by the natural landscape of nearby Derbyshire. 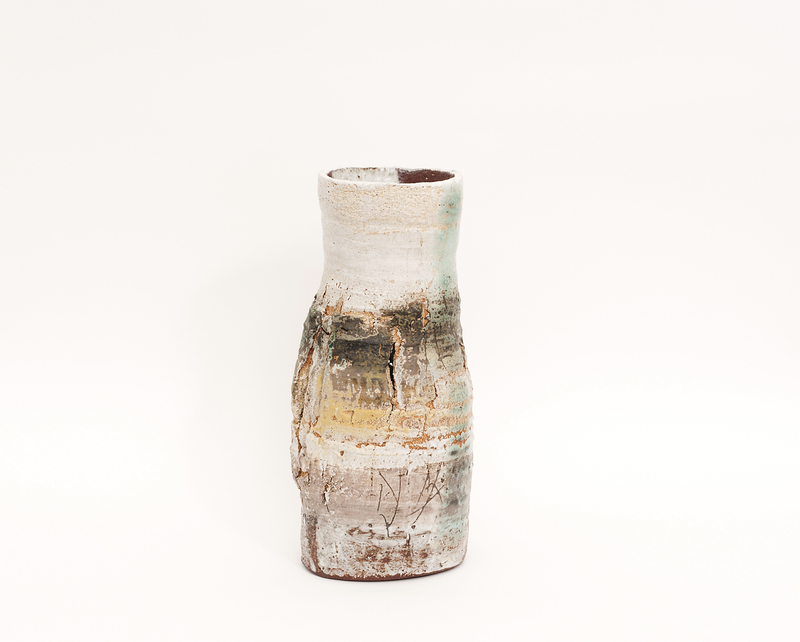 The Australian bush inspires the vertical vessels, after a residency there in 2013. Wood exhibited widely in UK, the Netherlands, Germany, Australia and now also in Belgium.